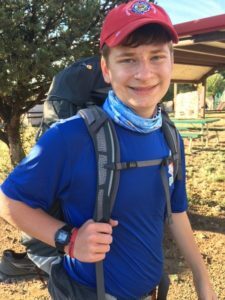 While she was learning how to be a better volunteer leader at the Philmont Training Center, Kerry Patuka’s son Trey was a few miles away in the back country attending National Youth Leadership Experience (NAYLE). He had come a long way from his days as a timid Tiger Cub. Now, Trey is an Eagle Scout, an officer in the Order of the Arrow, and has attended nearly every leadership training Scouting offers to youth. He remains an active Venturer and attends a Scouting function nearly every weekend. Throughout the week at Philmont Kerry says she reflected on that comment and realized just how far her son had come during his time in Scouting. Kerry Patuka is a member of the Atlanta Area Council’s Training Committee, a former District Commissioner and the parent of an Eagle Scout.